The freedom of the open road is not without risks: a deer crossing the road, a distracted driver, or a just a slippery road. While you can’t prevent an accident from happening, you can be prepared with adequate motorcycle insurance. 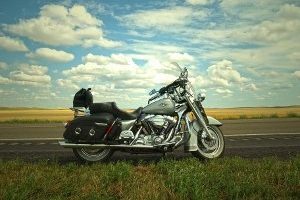 While liability insurance is legally required to drive operate a motorcycle on public roads in MN, there are many additional coverage options you may want to consider. Carney Insurance agents will help you determine what’s needed, then find the best policy available from up to 50 insurance companies.